This Free Weekly Meal Planner Printable is my gift to you, friends! Meal planning does not have to be complicated or hard! 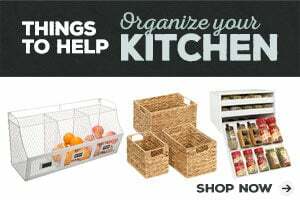 In fact, the benefits of meal planning will make your life so much easier. 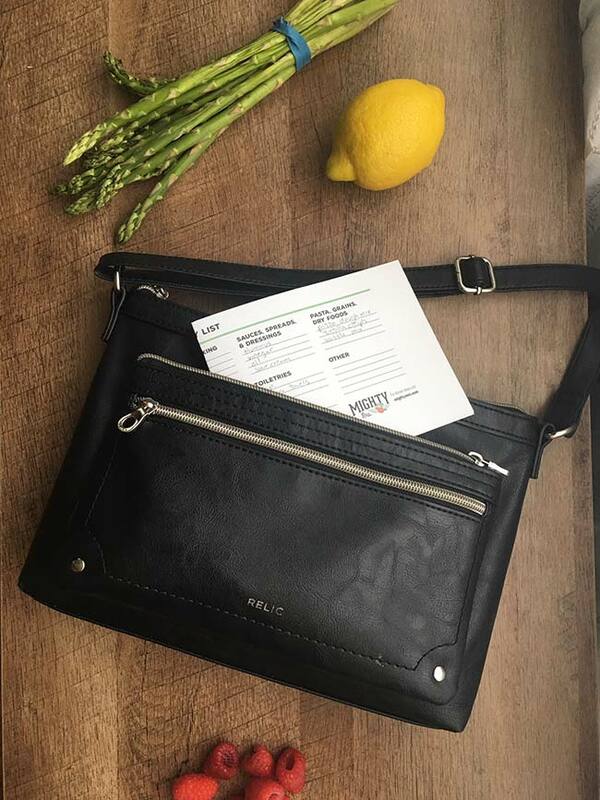 Meal planning simply means thinking through your meals in advance. You’re going to have to think about them anyway so thinking them through with enough time to prepare will actually benefit you in so many ways. You’ll save money. When you have a plan, you buy only what you need. I literally cut my grocery bill in HALF once I started meal planning. You’ll eat less junk. When you have a meal plan, you’re not resorting to quick heat-up meals with lots of preservatives. When you’re getting full from a nice homemade meal, you’re not going to be hungry and reaching for chips, cookies, etc. Your fridge will be cleaner. When you’re buying only what you need, your fridge won’t be full of random stuff all the time. You’ll waste less food. When you have a plan and a shopping list, you won’t over-buy or ultimately have to throw out food that goes bad before you can eat it. You’ll feel like a boss. When you have a plan, you just come home and make your meal. No stress! No feeling frazzled! You can better cater to deal with picky eaters. Everyone can weigh in on the menu early in the week rather than at the last minute or when food is already on the table. First, create your menu for the week. 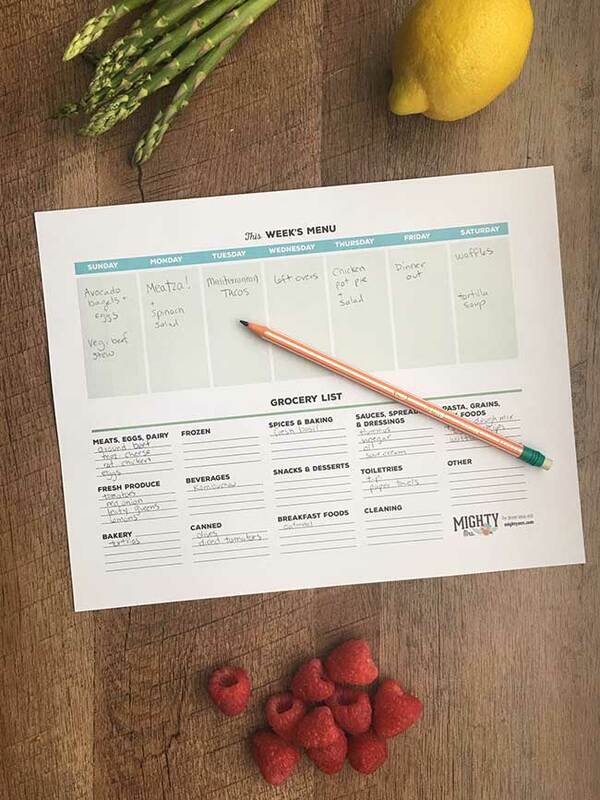 Print your weekly meal planner (sign up below to get one from me for free) and start with dinners and maybe breakfast ideas for the weekends. If you are eating out, write that on your menu. Don’t feel bad about it. If you’re too busy to cook, that’s fine! But write down where you will be eating out and maybe even what you’ll order so that you don’t make a last-minute unhealthy choice. Then, write out your shopping list. Write down ingredients you need to make the meals on your menu. Pretty basic, huh? It’s not hard! If you want to get advanced, try to find recipes that use some overlapping ingredients so that you cut down further on waste. I specifically designed my own weekly meal planner printable because I wanted something super simple yet functional that was just one page. Check out the photo of my printable menu planner to see what I mean. Fill out your menu for the week in the top portion. Check your fridge and cabinets to see what ingredients you already have. In the bottom shopping list portion, write in what you need to buy. The list is organized by department to make in-store shopping more efficient! Cut the planner in half. 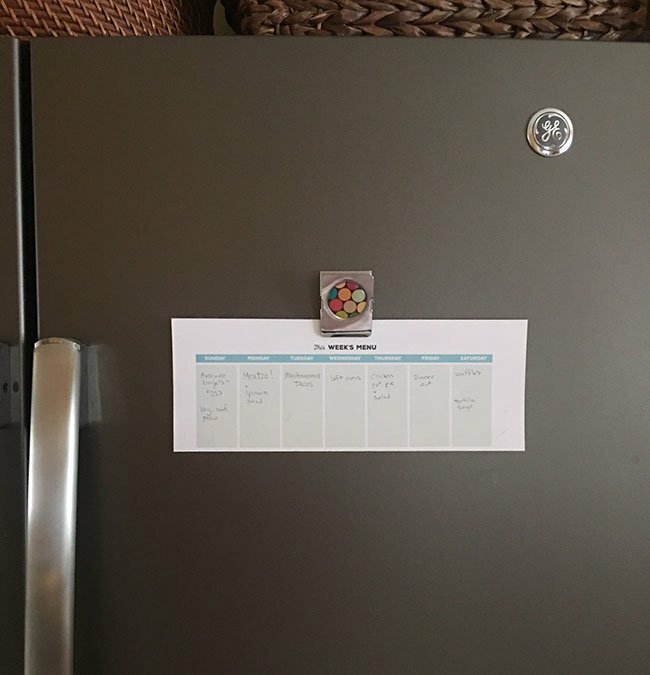 Post the menu half on the fridge as your guide and reminder for the week. That’s it! Super easy. So beneficial. 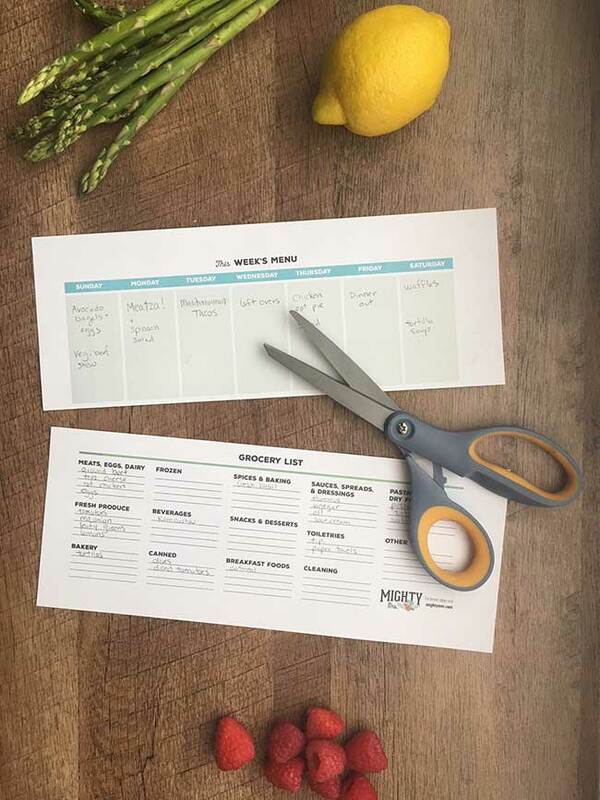 If you’re ready to start meal planning, put your email in the box below to sign up for my seasonal newsletter and I’ll send you my one-page free weekly meal planner printable as a thank you for staying in touch. While you’re here, be sure to all browse my recipes for ideas! I’m interested in the meal plan template. It is great!